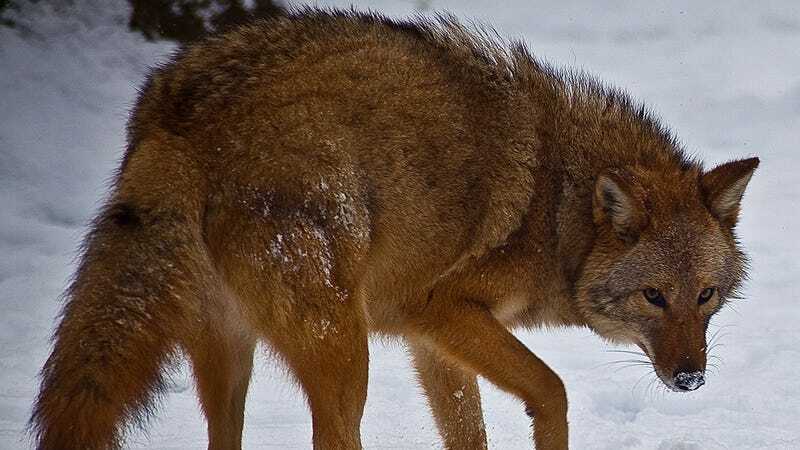 Call them what you want — Coywolf, Coyote/Wolf Hybrid, Freakin' Terrifying — but the fact is, we've got a new predator and it lives in our forests, our suburbs and even our cities. While the parks department has denied their existence, PBS has produced this hour-long documentary on the animals. We're excited about Coywolves and covering them not because we want to scare you, but because we're fascinated with nature's ability to adapt. No matter how much habitat we destroy, no matter how much pollution we put into the world, the natural world will continue to evolve to deal with it. They may not look like our storybooks, but plants and animals will be around a long time after humanity's kicked the bucket.